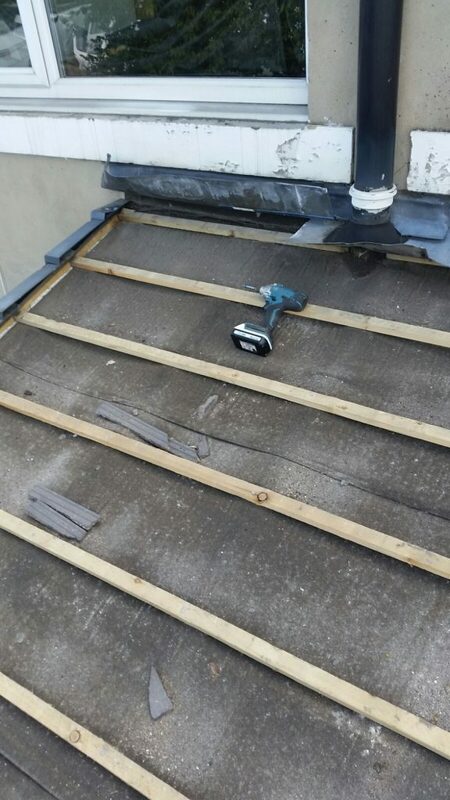 Stripping off the concrete tiles, lath battens and bitumen under felt. 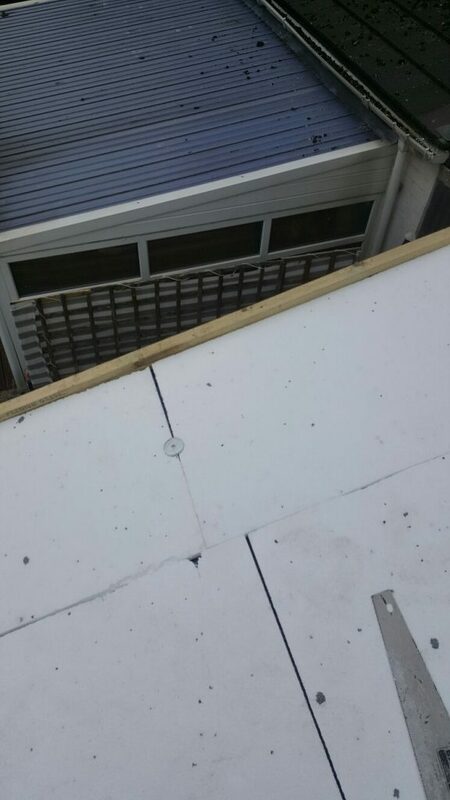 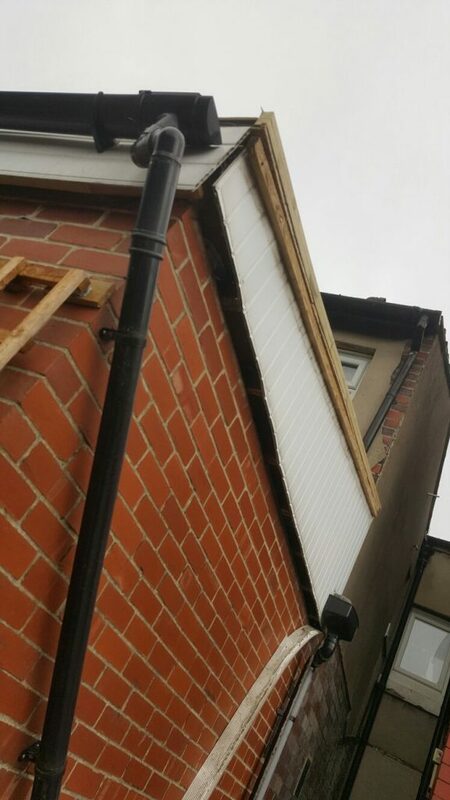 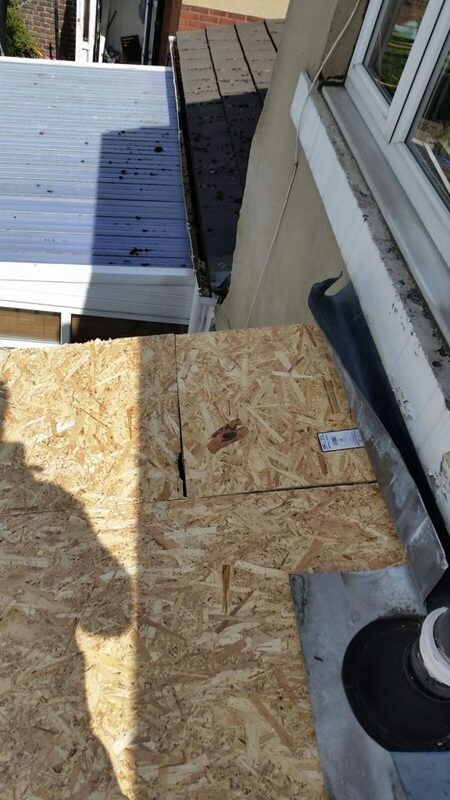 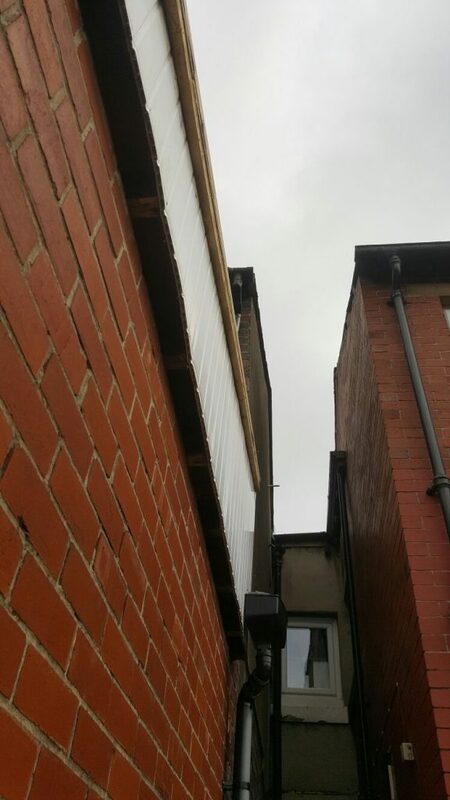 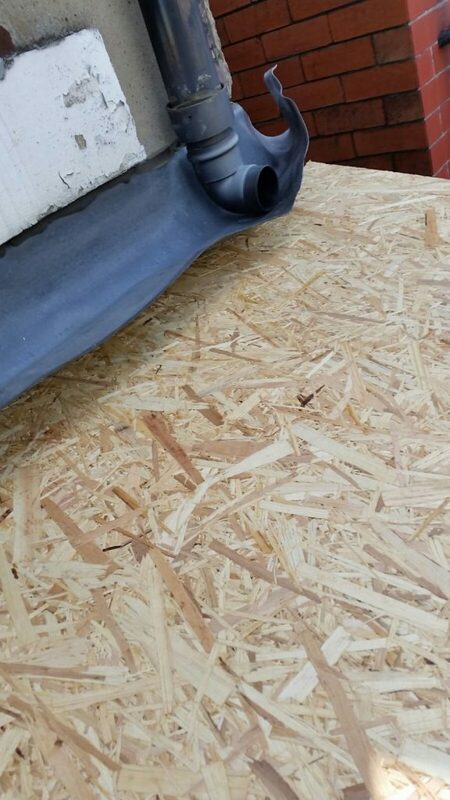 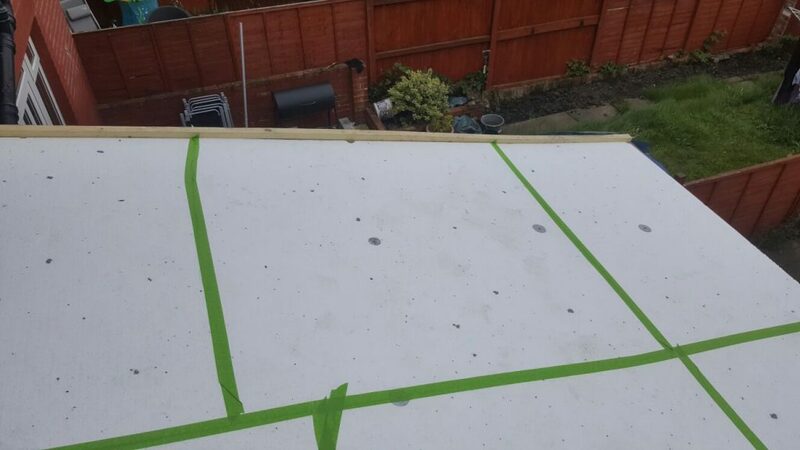 When this garage was constructed the pitch of the roof was made far too low for this type of covering. 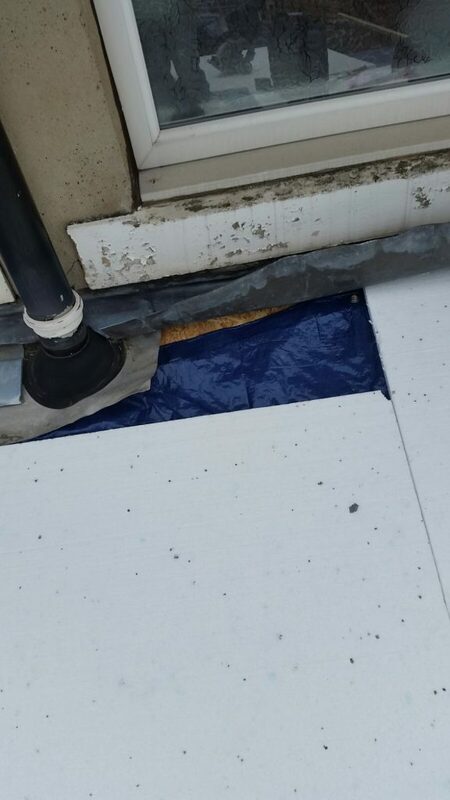 The rain water has got into the building under the felt through the laps due to the lack of flow on the roof. 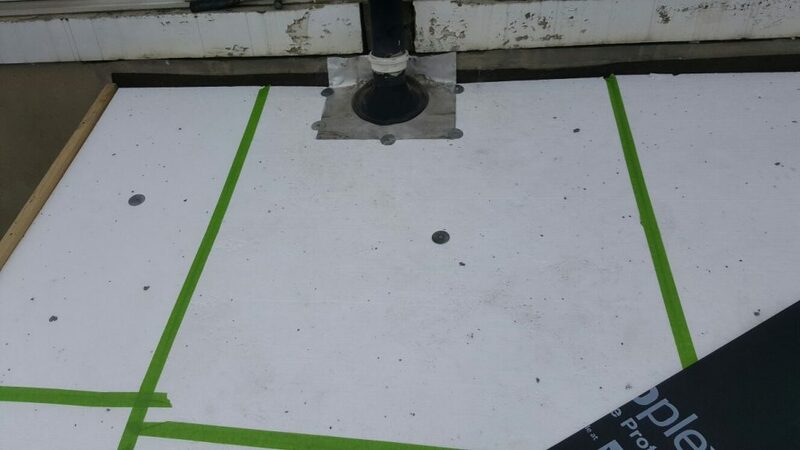 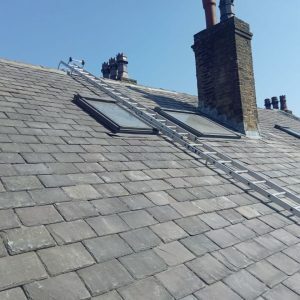 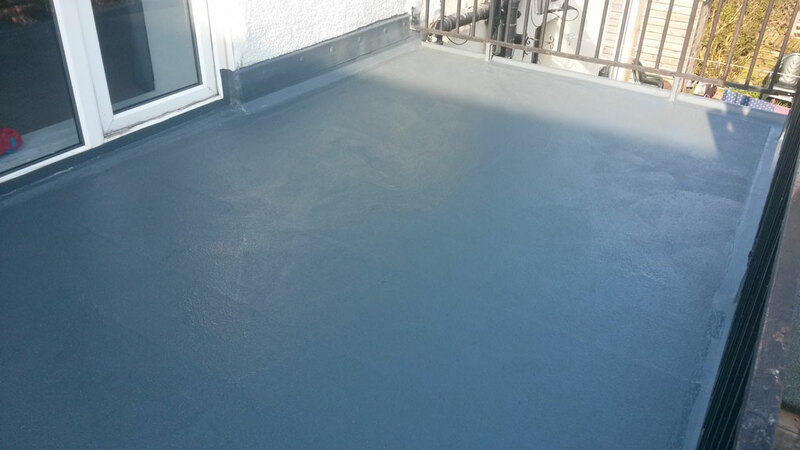 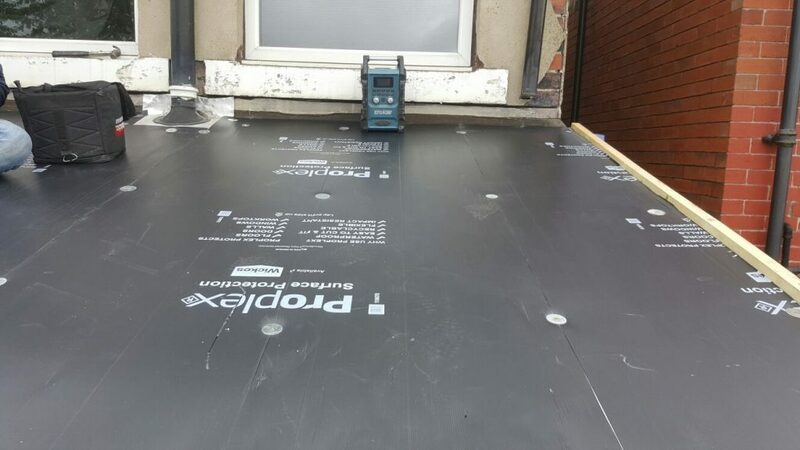 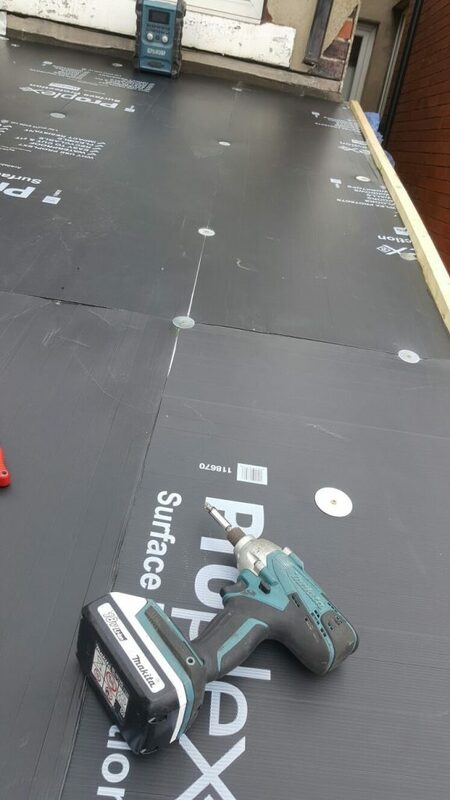 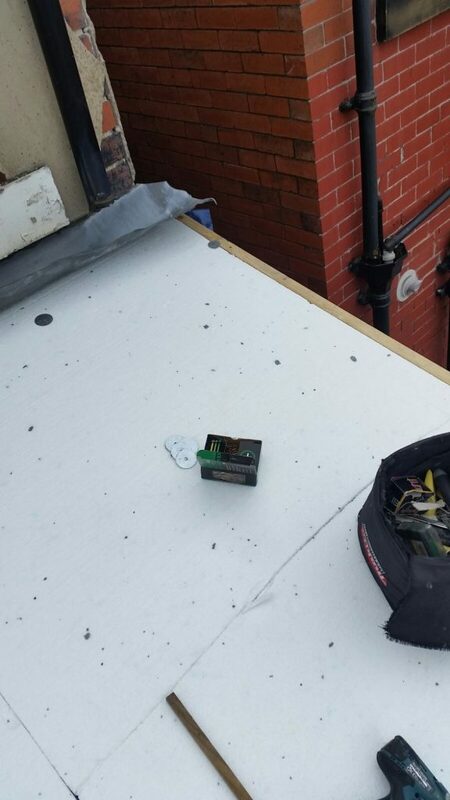 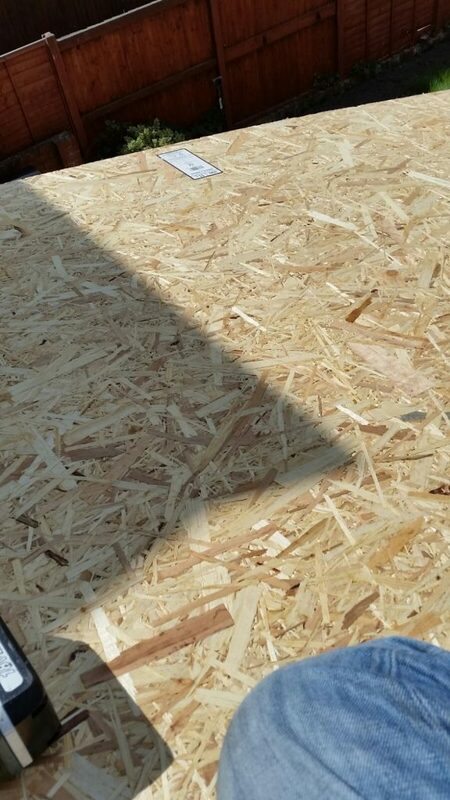 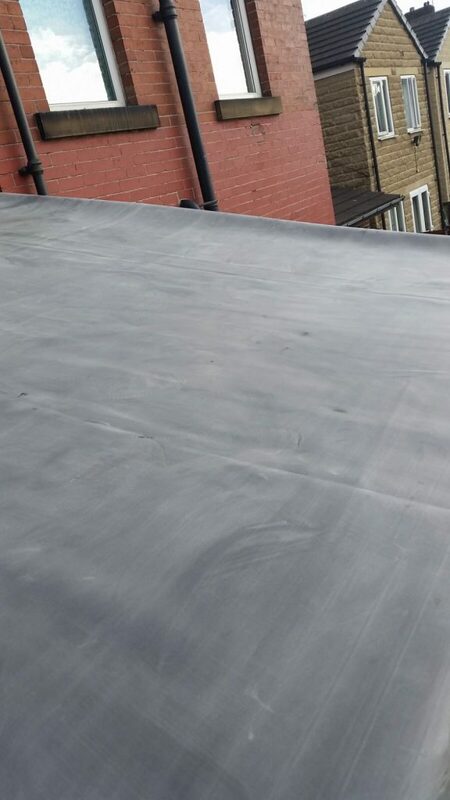 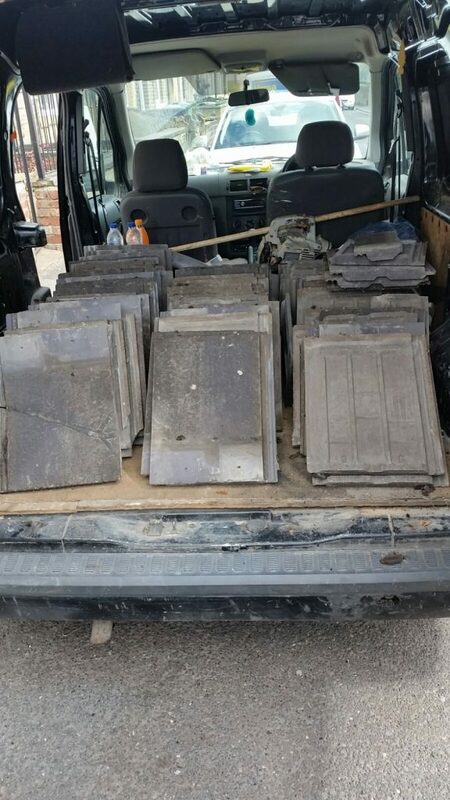 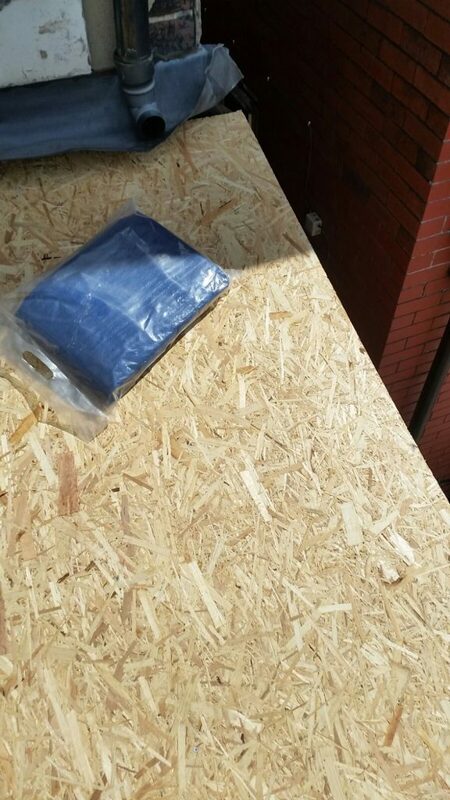 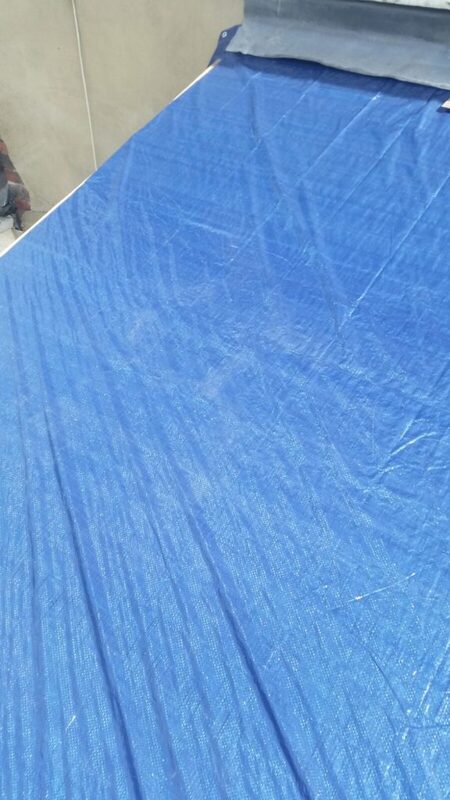 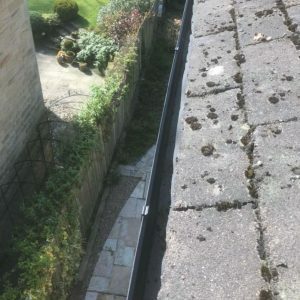 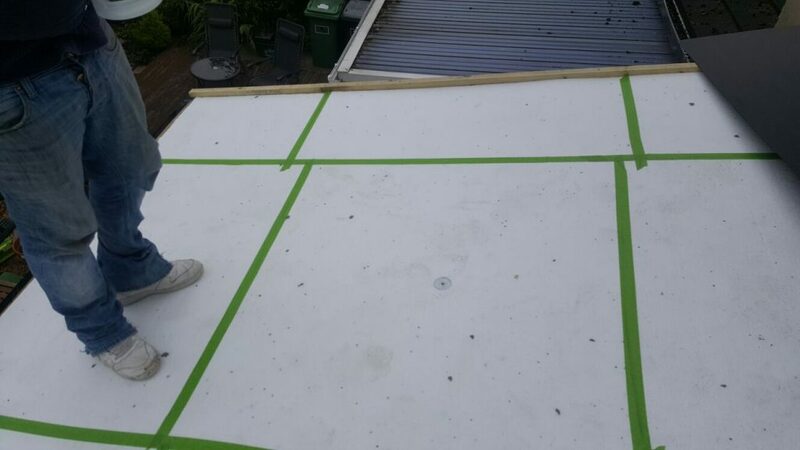 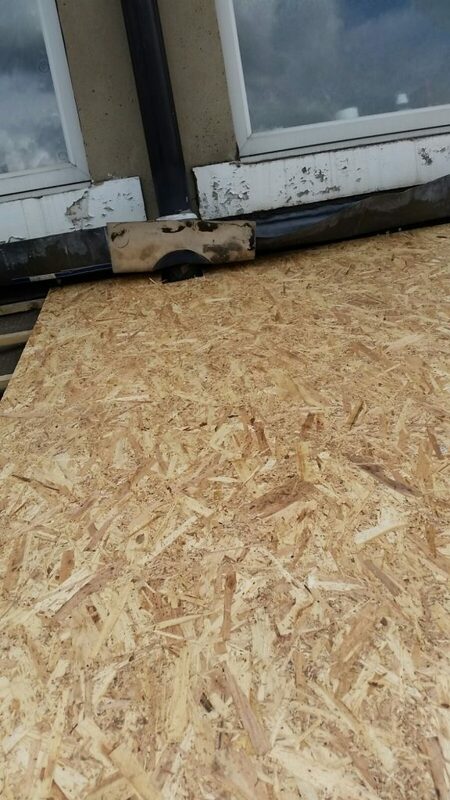 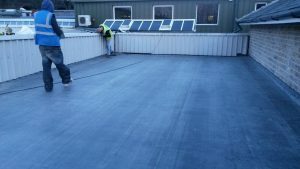 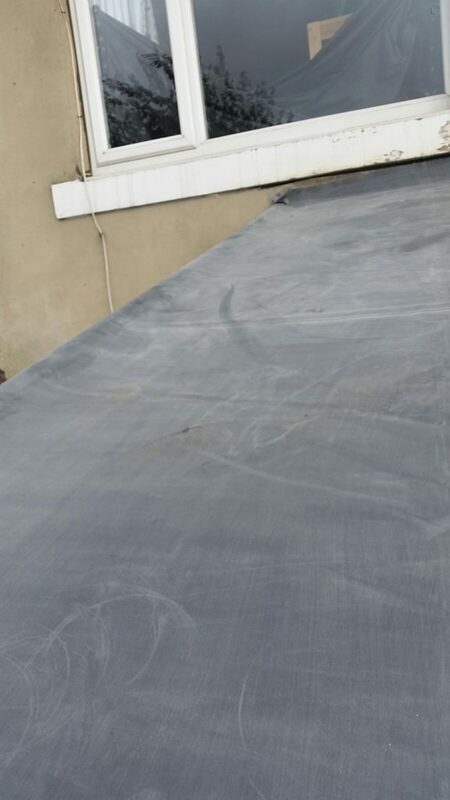 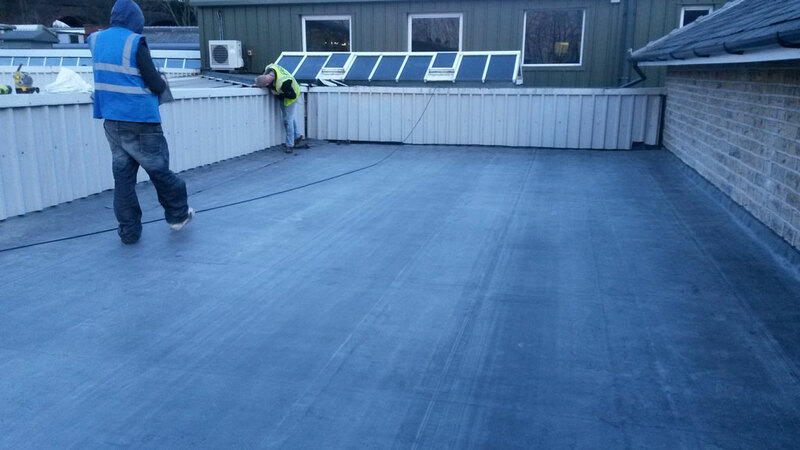 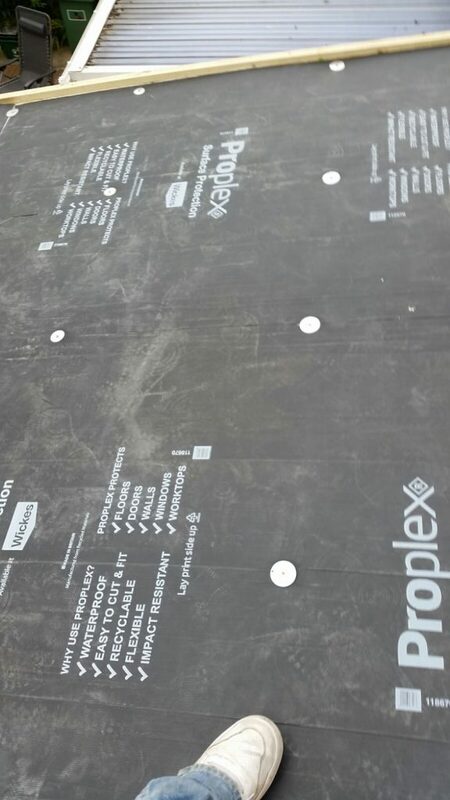 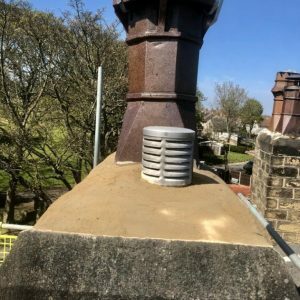 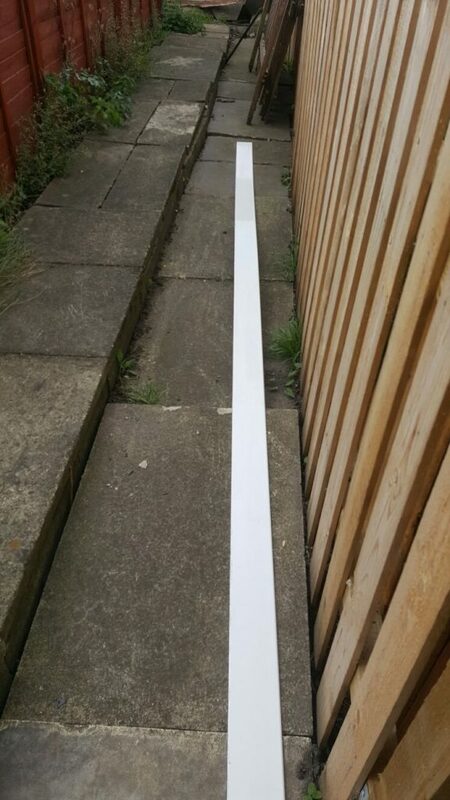 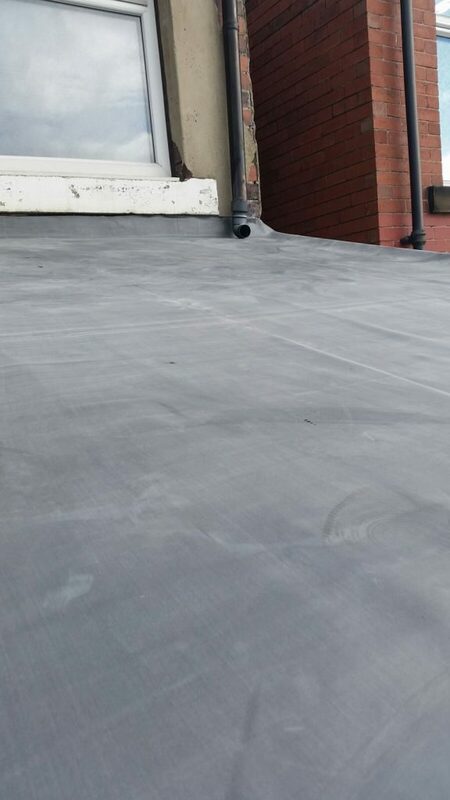 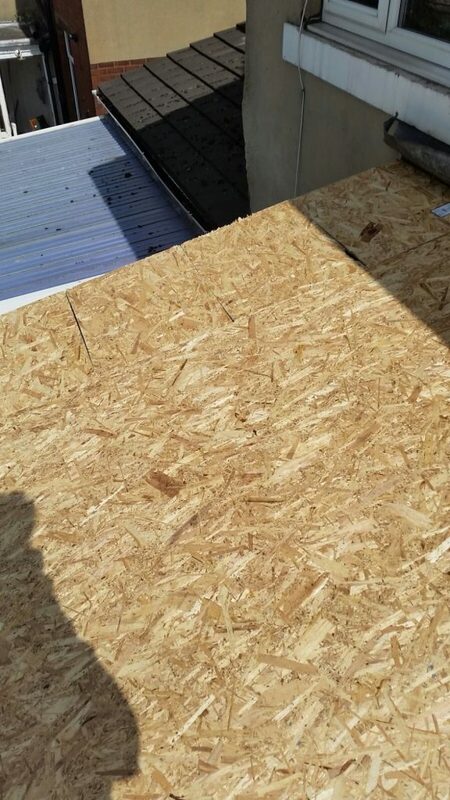 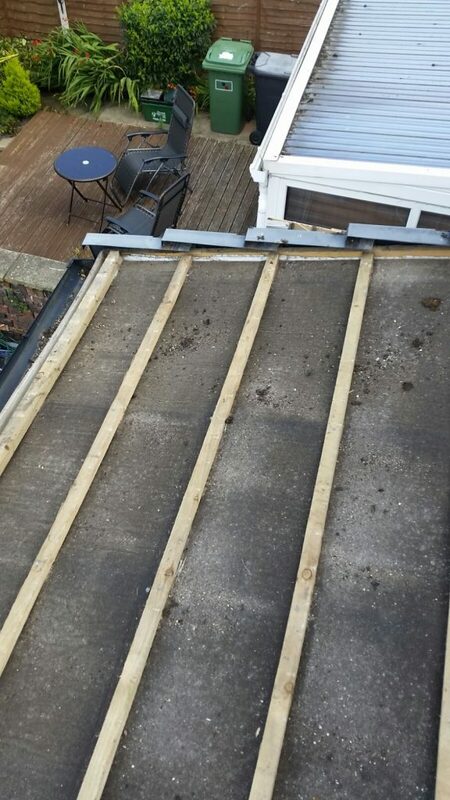 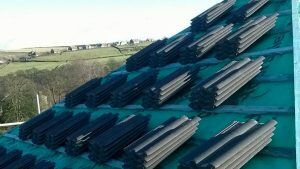 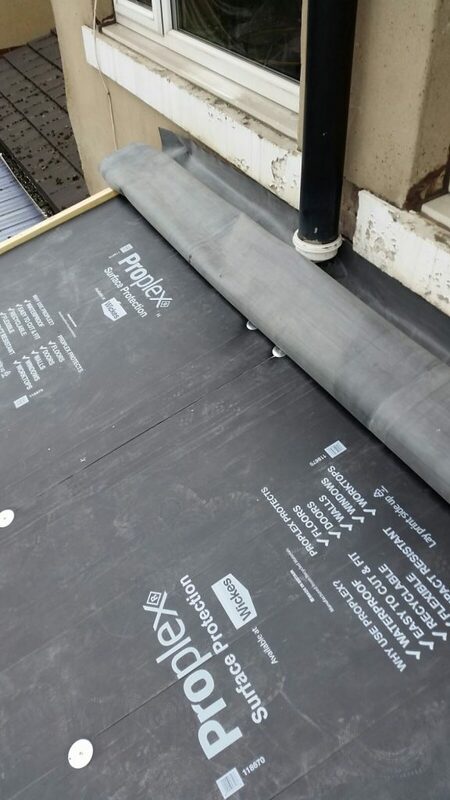 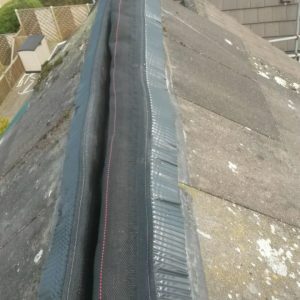 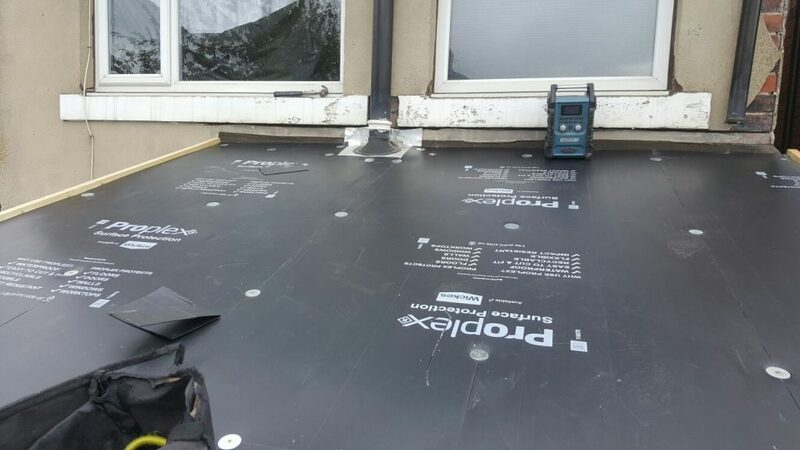 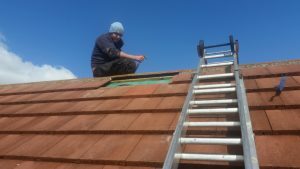 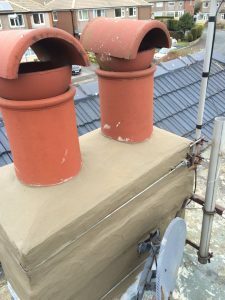 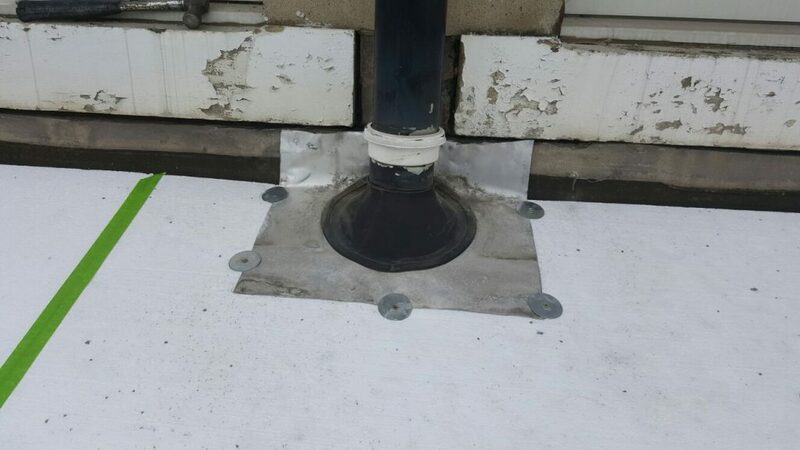 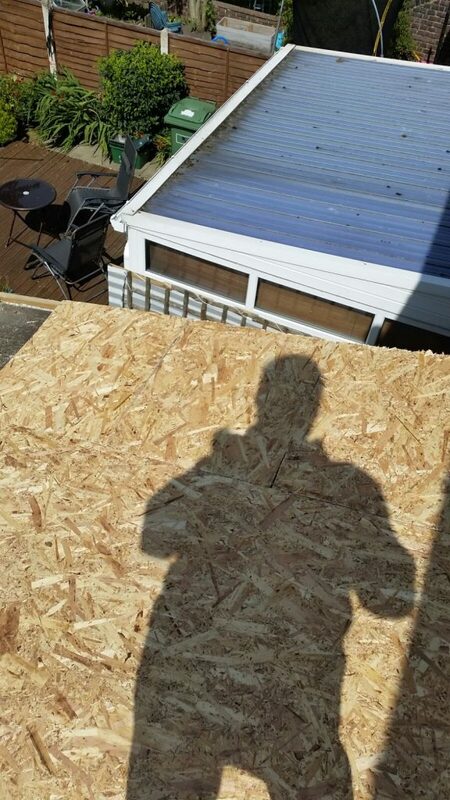 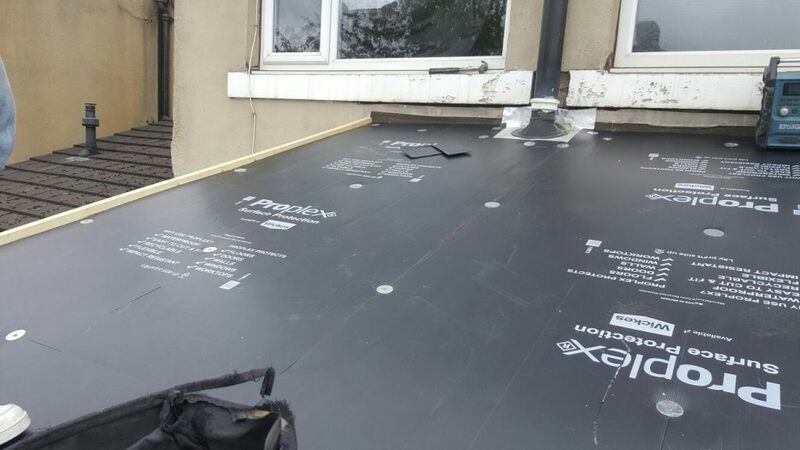 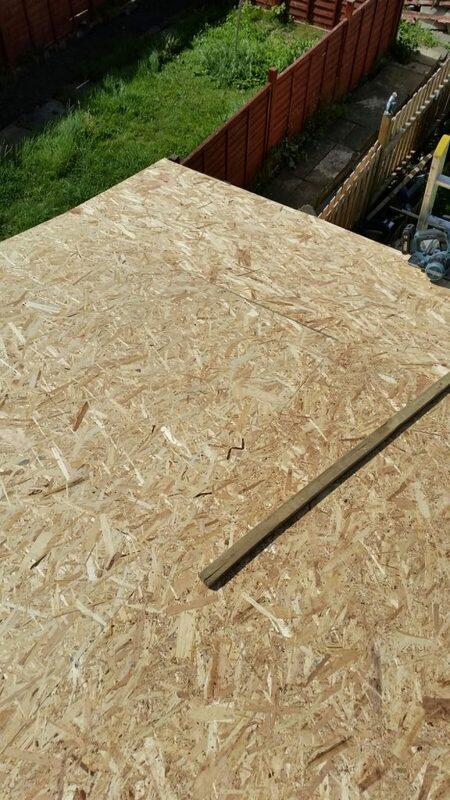 We are converting it into a flat roof with an EPDM rubber cap sheet to solve the problems. 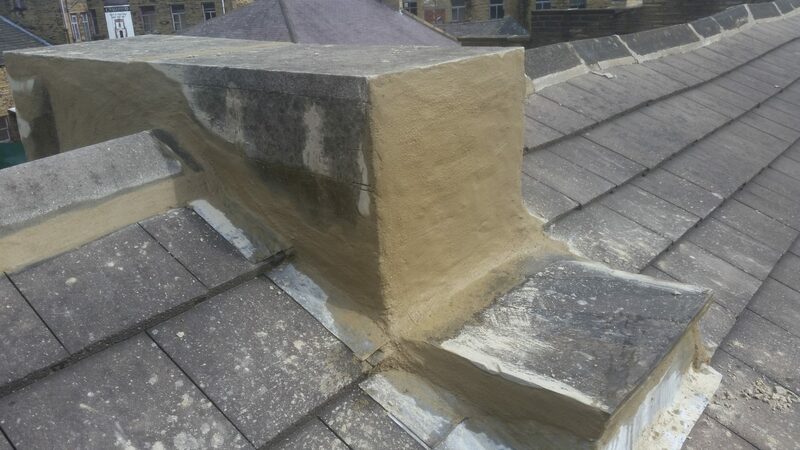 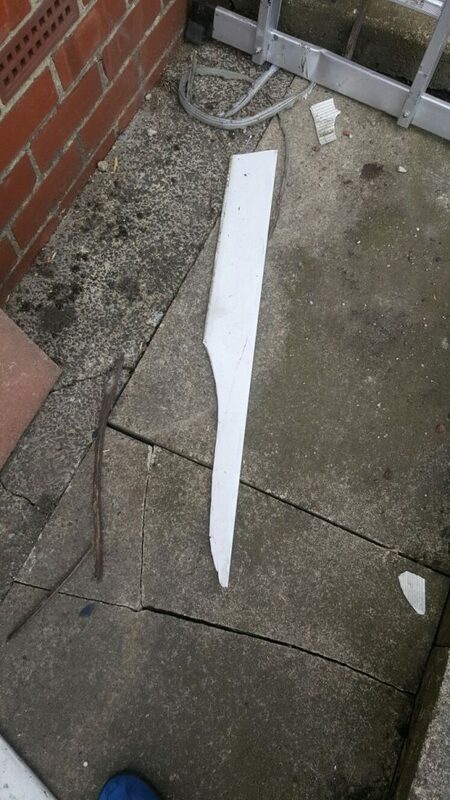 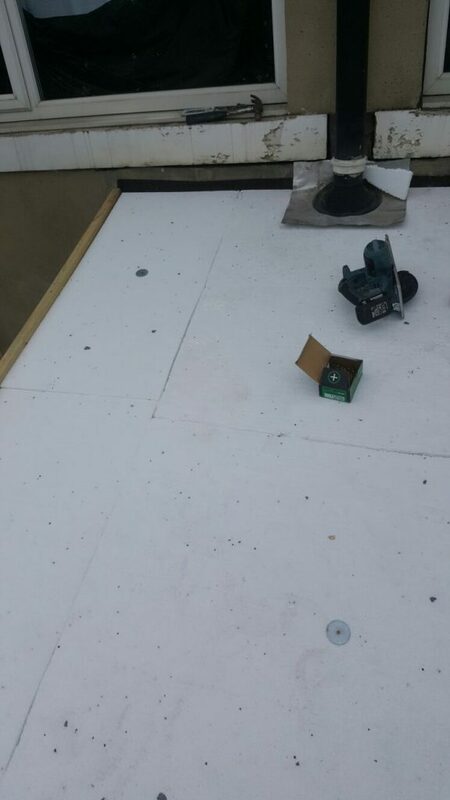 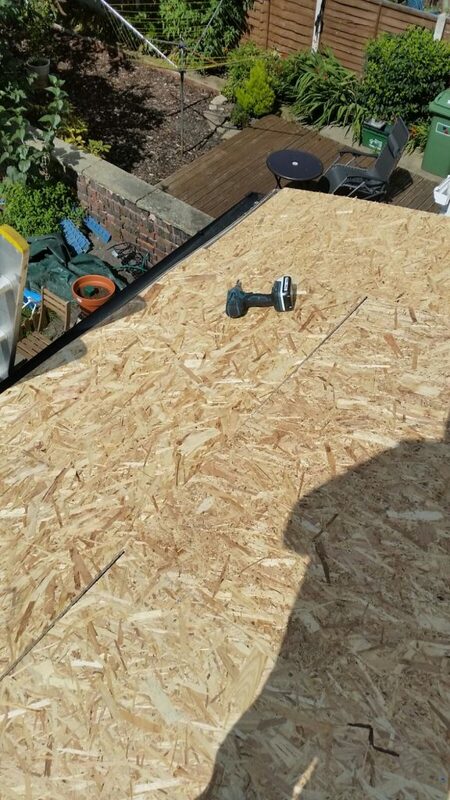 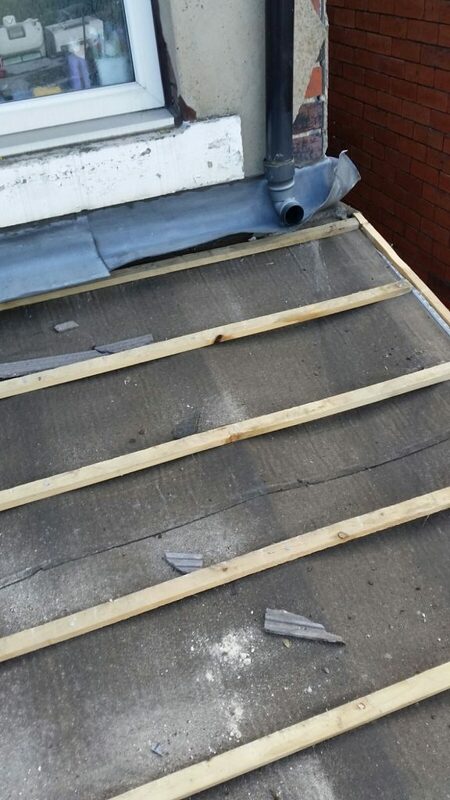 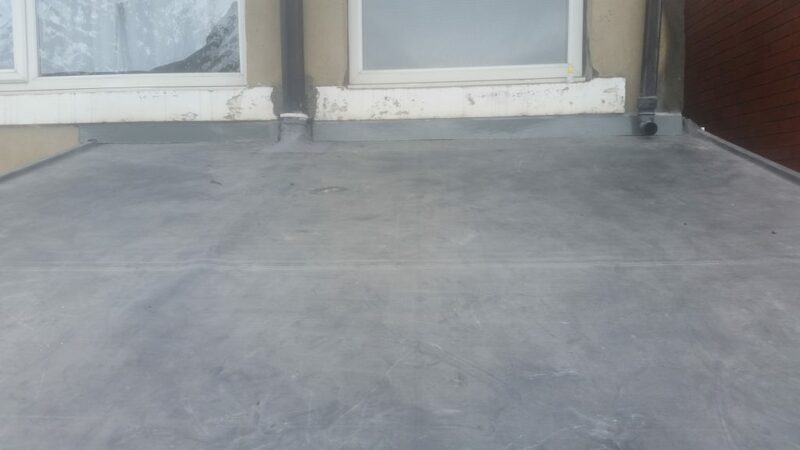 Strip & re-cover of bay window flat roof. 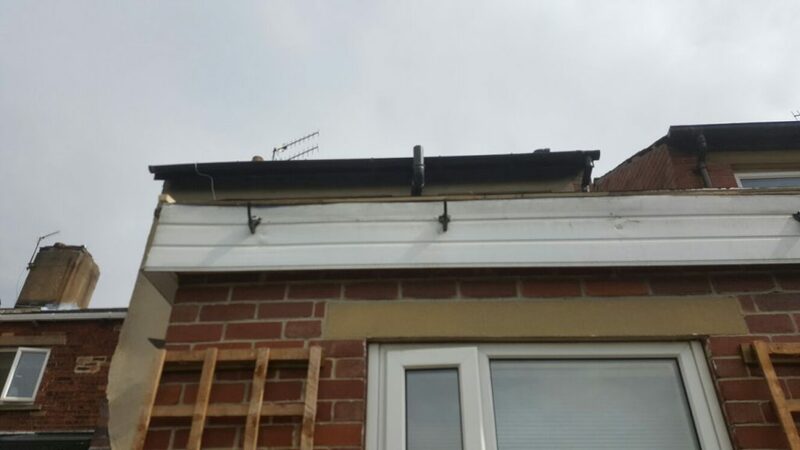 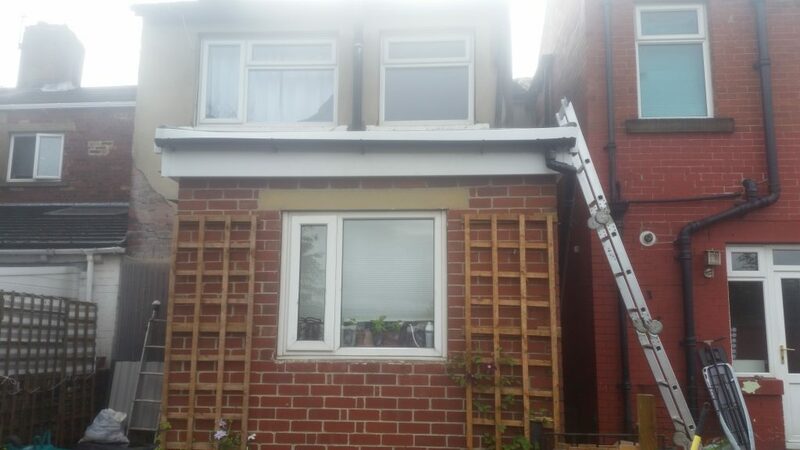 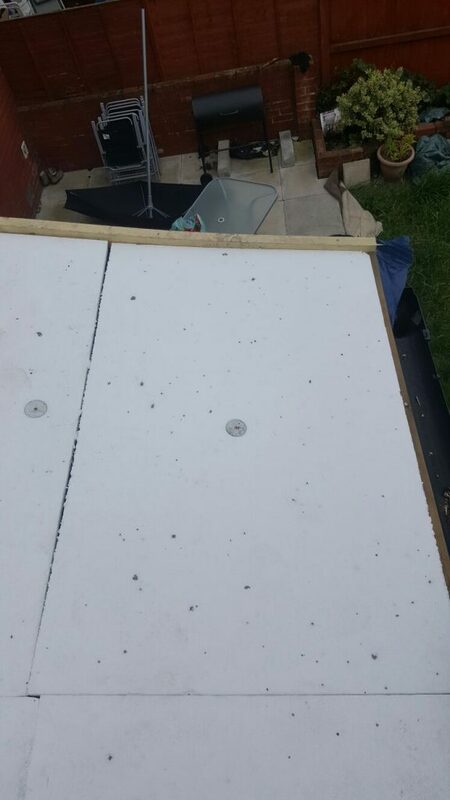 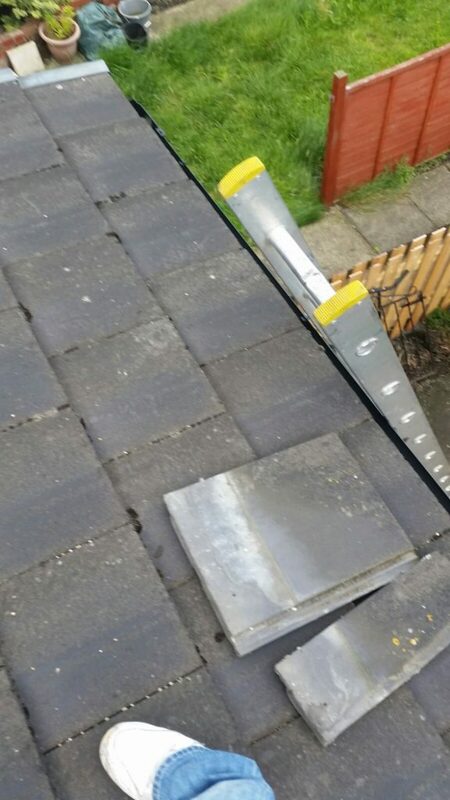 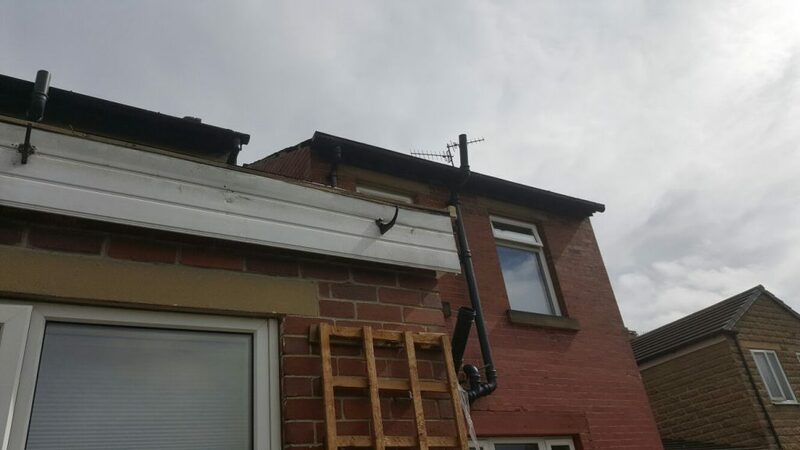 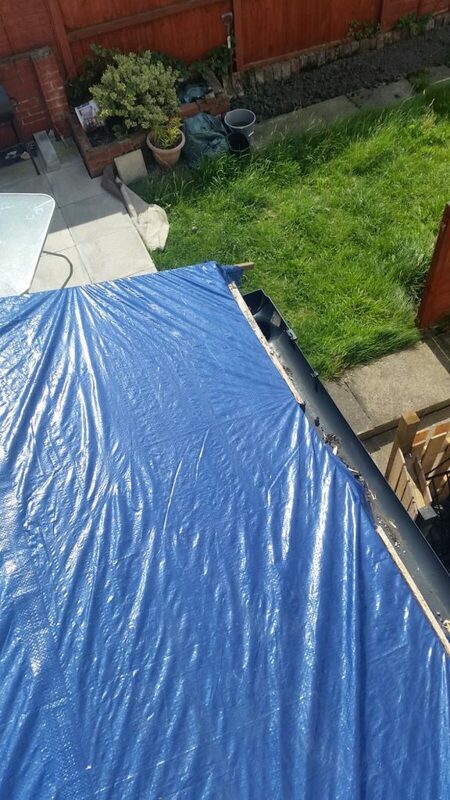 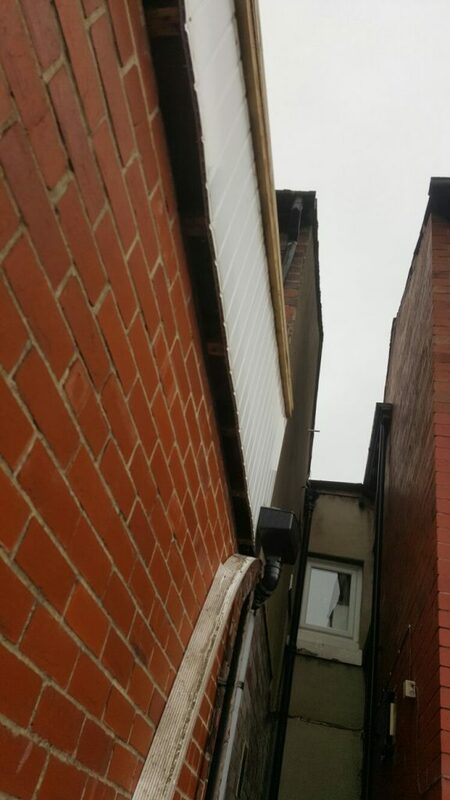 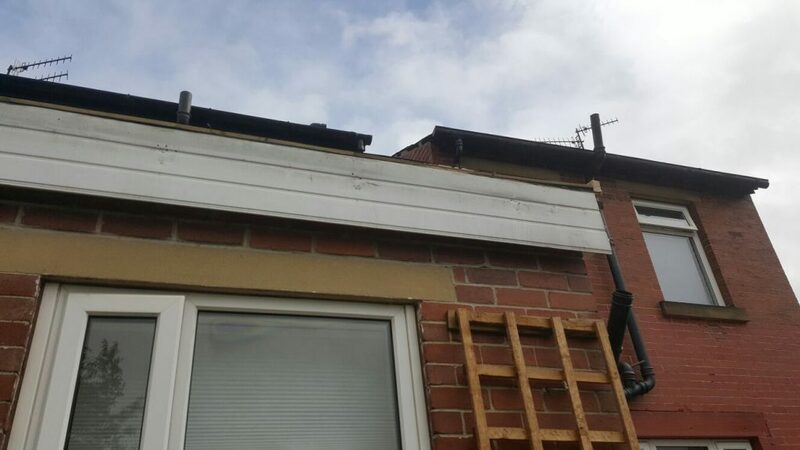 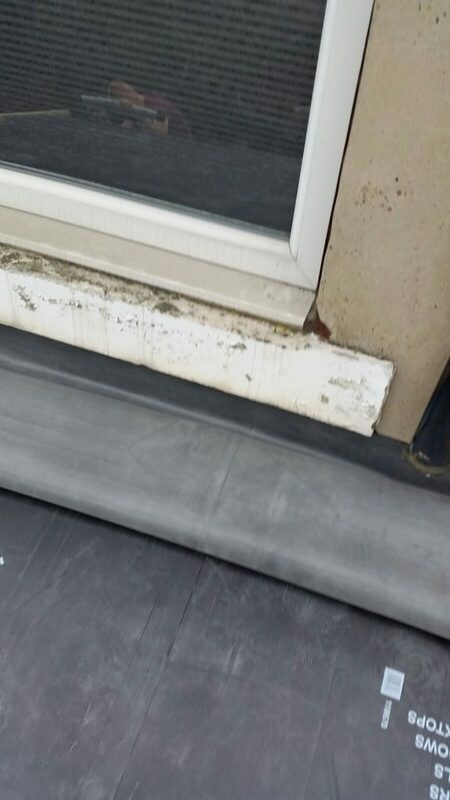 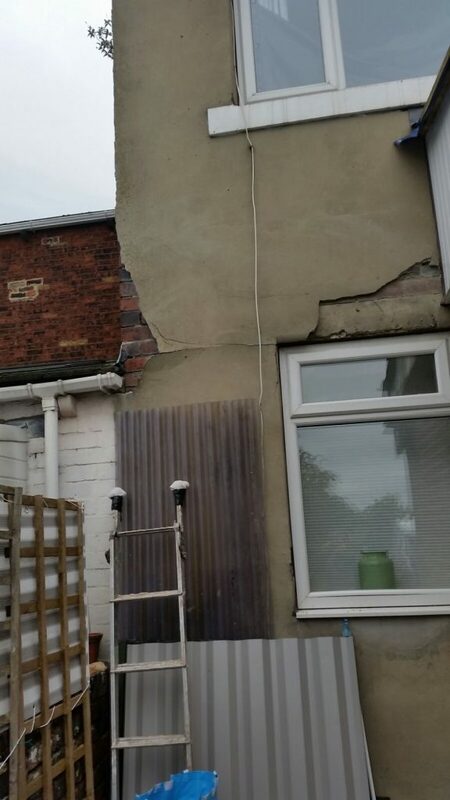 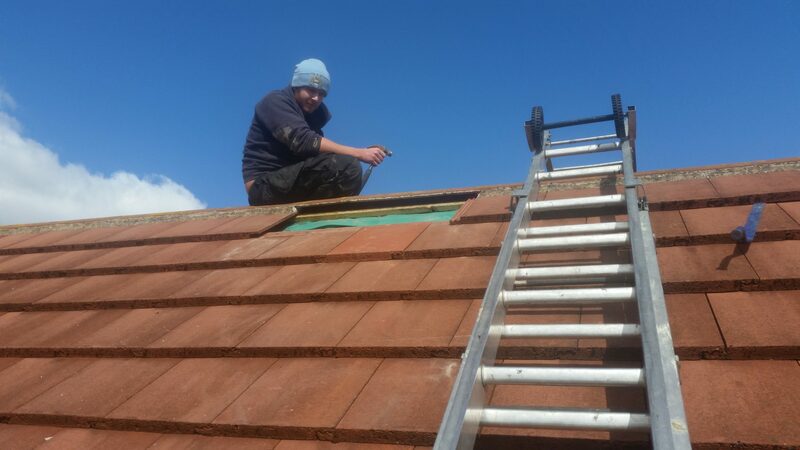 Removal of the failed green mineral cap sheet & installation of new Classic Bond EPDM rubber cap sheet & UPVC trims. 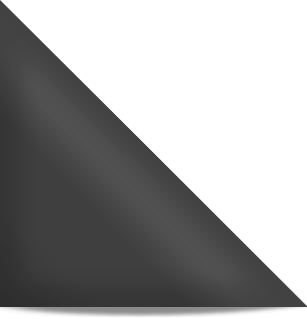 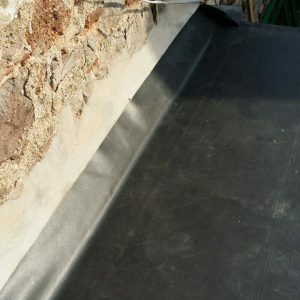 Classic Bond EPDM has a 20 year manufacturer’s warranty.